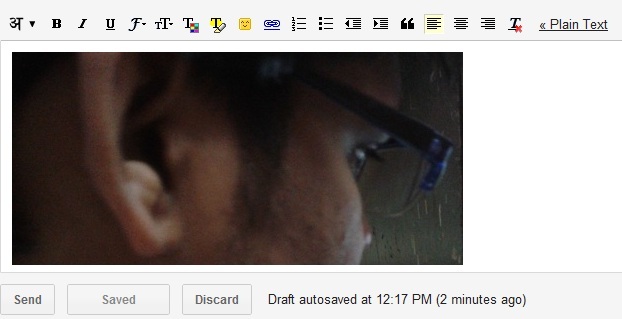 One unique feature of Gmail is that, you can drag and drop images in new message compose box. Select an image and simply drag and drop the image in new mail compose box. This image will now be inserted in new mail. You must enable Rich formatting to use Drag and Drop feature of Gmail. This drag and Drop image feature of Gmail is supported by Google Chrome, Mozilla Firefox, Safari browsers. IE browser still do not support this feature. 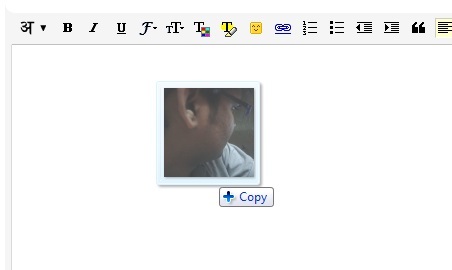 IE users can use Inserting images Lab to insert images in Gmail message.